Waterfalls, nightclubs, geothermic mud pools, mountains, skylines, if NZ doesn't impress you, best check your pulse. 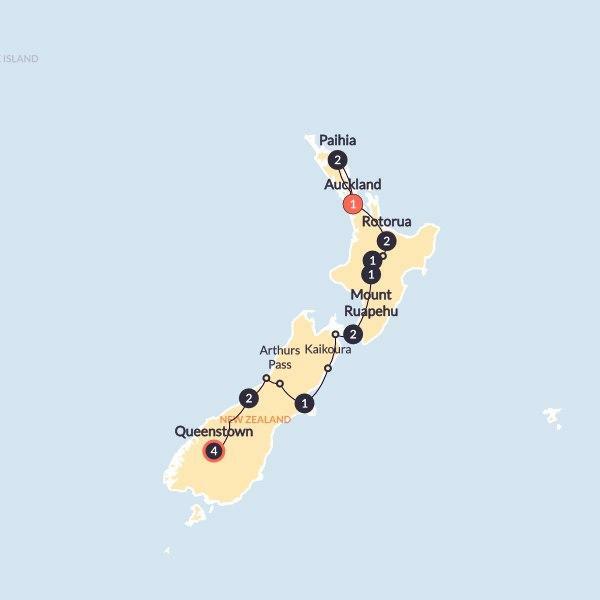 The Big Tiki from Auckland to Queenstown soaks it all up and offers an astounding list of over 65 optional activities to ramp up your trip. Dolphin cruise & black water rafting (until Sep 2018), anyone? This morning our adventure comes to an end (sob). Hug it out with your new bff's, with plans no doubt in place for Contiki 2.0. NZ, you've been real.